There are no comments for Male And Female House Finch. Click here to post the first comment. 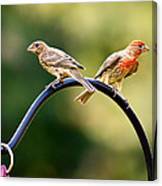 I took this shot of the male and female House Finch just hanging out in my front yard. The House Finch is a bird in the finch family Fringillidae, which is found in North America. 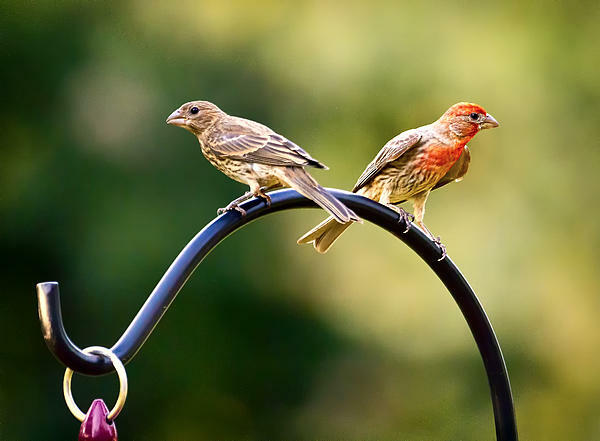 Adults have a long, square-tipped brown tail and are a brown or dull-brown color across the back with some shading into deep gray on the wing feathers. 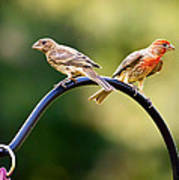 Breast and belly feathers may be streaked; the flanks usually are.